Cynthia & Obsessions ♥: [MAC] EYE-LINER GEL: "BLITZ & GLITZ"
[MAC] EYE-LINER GEL: "BLITZ & GLITZ"
Say hello to this little babe called Blitz and Glitz! 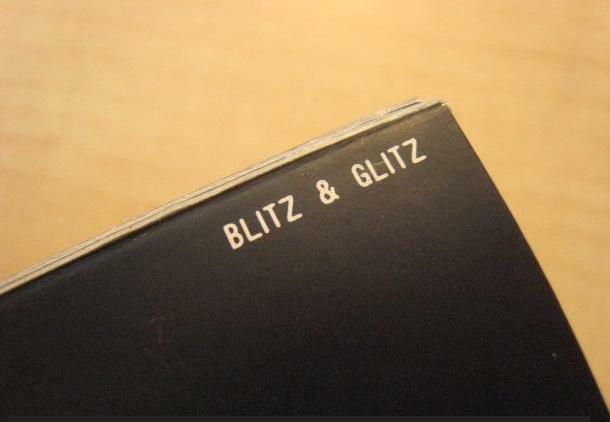 Blacktrack is "solid flat black" whereas Blitz & Glitz is "intense black with gold pearl". At first, I didn't like the description that MAC has provided. If you are with me, black doesn't match with gold pearl. Also, it is not intense black, but rather, it is greyish black. Yet, I visited MAC to test some products and Blitz & Glitz is quite amazing. Just like most of the other gel eyeliners, Blitz and Glitz create more defined look to your eyes and the pearl is just an additional fling to your eyes. It is smooth in texture and lasts for very long time. Now, I said "very long" because my eyelids are quite oily and it really doesn't last all day. I'm usually left with 75-80% of the eyeliner. However, it definitely lasts all day long for my friends. In terms of the shades, I usually favour natural look and Blacktrack was too intensely black for me. If you want charcoal black, then you should definitely go for Blacktrack. Otherwise, I would advise you to go for Blitz and Glitz.